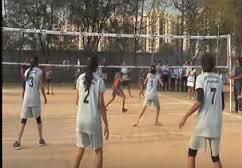 Suresh Gyan Vihar University was established in the year 2012 to accomplish higher education goals of the aspirants with their busy schedule through distance learning. 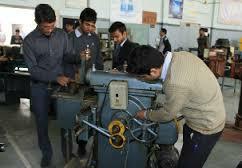 The University offers industry oriented professional courses with updated inputs from experts in the specialized field. University provides distance MBA in user friendly, offline and online interactive course material with instruction, continuous monitoring and evaluation. 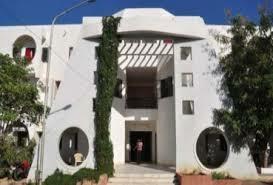 University provides courses like MBA, MCA, BBA, BCA,PGDCA in distance mode. Write Your Reviews on "Suresh Gyan Vihar University- Distance Education"
Are you Interested inSuresh Gyan Vihar University- Distance Education"? Please provide the following details. 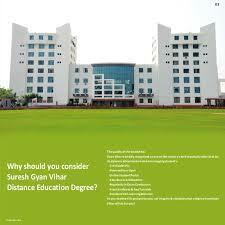 Ask Question on "Suresh Gyan Vihar University- Distance Education"?